Starting November 28th, 2018, we will be running the Well-Deserved Reward activity. This article will provide answers to frequently asked questions about the activity. Q: What is "A Well-Deserved Reward"? A Well-Deserved Reward is an activity that we launched to commemorate the birth of the World of Tanks concept. Players receive rewards based on when they first registered for the game. The earlier the registration, the more valuable the reward. Q: How does this event work? Players will be granted rewards based on their number of years in the game (since the registration date of the account). Please be aware that this based on the year of registration, not the specific date. For example, if you registered on December 31st, 2013, you would receive the same rewards as someone who registered on January 1st, 2013. Q: What are the specific levels of rewards being given? Q: When can I receive my rewards? You can grab your rewards starting November 28th, 2018 until December 2019. Q: What is my registration date? The registration date is how the Years of Service is determined. This date is the date when a player first logged into the game, and not the date when the account was created on the World of Tanks portal. If you are not sure of your registration date, it will be shown in-game or you can contact Player Support to check your date. Q: Why were players separated into these "Years of Service" groups? The Years of Service groups were implemented to avoid creating a large number of groups and to provide more clarity. Q: Do you grant rewards to Alpha and Beta testers? The registration date in-game is the release date of the game, not the alpha or beta test dates. Yes, Alpha and Beta testers will receive specific rewards. Q: My "age" in-game is currently 5 Years. If I do not log into the game until 2019, then relog in January, will I get the 6 Year reward? No, the system does not work this way. Rewards are granted as of the date of the "Well-Deserved Reward" launch. Q: Next year, I will achieve 6+ years in-game. Will I get any goods again? We have plans to expand "A Well-Deserved Reward" in the future. As of now, it is difficult to say what will happen (and when) to this activity. We recommend keeping an eye on our news for any further information. Q: Is this a one-time event? This is difficult to answer at this moment. "A Well-Deserved Reward" will be in effect for about a year, and once it ends, we will communicate our future plans regarding it. Q: What do I need to do to receive my rewards? To receive your rewards, you will need to log into the game at some point from 09:00 (Moscow time, GMT +3) November 28th, 2018, until December 2019. The reward will be granted upon authentication. Q: Will all the rewards be mine, permanently? Yes, the rewards will be granted to your account permanently. Q: Do Alpha and Beta testers get two groups of rewards (one for testing, and one for Years of Service)? No, we decided to combine testers into a single player group despite the fact that the Alpha test took place in both 2009 and 2010. Q: Were Beta testers combined into a single group? Those being from both the Open and Closed Betas. Yes, participants of the Open and Closed Beta tests were combined into a single reward group. Q: Except for players from the RU region, who else will receive the Alpha Test badge? The World of Tanks Alpha Test was only conducted in the RU region. Therefore, only the RU region will receive this unique badge. Q: I participated in the Alpha/Beta test for World of Tanks, but I am not included in any of the reward groups. What should I do? Please contact Player Support. Specifically, go to the In-Game Goods section. In your ticket, please provide a detailed description of your issue. Q: What should I do if I am banned from the game for the duration of "A Well-Deserved Reward"? Unfortunately, players who are blocked from the game for the duration of the activity will not be able to claim their rewards. Q: Is the T-50-2 a Premium vehicle? No, this tank does not have the Premium status. The T-50-2 is an event vehicle. Q: Why are you returning a tank that you previously removed from the game for being unhistorical? 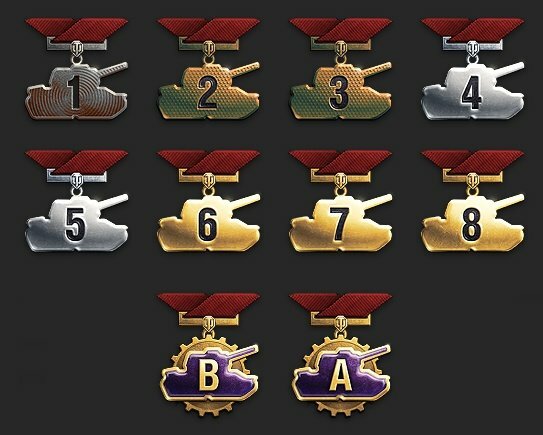 When we decided to create "A Well-Deserved Reward", we spent a lot of time determining which vehicle we wanted to give to players. We wanted it to be something special, and we concluded that the legendary T-50-2 is exactly what we needed. Q: What Crew will the T-50-2 have? Does it come with a Garage Slot? It will have 100% Crew and come with a Garage Slot. Q: Can I sell the T-50-2? Yes, the vehicle can be sold for 660,000 Credits. Q: How many Crew members does this tank require? The T-50-2 is manned by a four-person Crew: a Commander (and Radio Operator, as well), a Gunner, a Driver, and a Loader. Q: Don't you think the T-50-2 is no longer relevant for current Random Battles? No, we think it will perform well. We went through elaborate testing with this tank, and we fine-tuned its parameters to match the current Random Battles. The difference between the old and the new T-50-2 is too subtle to feel. Q: Will this T-50-2 have separate statistics from the original? 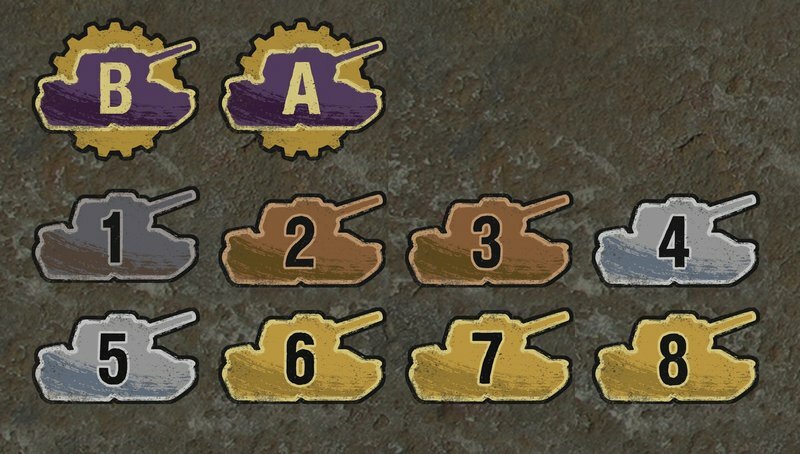 Yes, the tank will have separate stats and it will start by having zero values. When the original tank was removed from the game, we moved all of its stats to the MT-25. Q: What does the Immortal Classic style for the T-50-2 include? It is a unique style that transforms the T-50-2 into its old SD version. When applying this style, you will see the old version of the T-50-2 from before its removal from the game. Q: When will this style be granted? It will be granted along with the rest of the goods received from logging into the game during this activity. Q: Can this style be sold? Q: Will all players receive this style? No, the style will only be granted to the players with an age of 6 or more years in the game. Q: Is the style only applicable to the T-50-2? Q: Is this style historical? Q: Will I be able to purchase this style? Q: Does the style grant a bonus to concealment on all types of maps? Yes, the style provides a bonus on all map types. Q: Can I apply additional customization elements (Emblems, Inscriptions) to the style? Q: Can the style be removed and re-applied several times? Q: What are the Badges called? Alpha Test Veteran and Beta Test Veteran. Q: Do you only get one Medal? As of now, you will only receive a single Medal. You will receive the Medal that represents your current age in-game, you will not get Medals for previous years. Q: Why do Medals have different colors? The colors of the Medals are bound to the player groups. The color of the Medal received by a player is determined by their age group into which they fall. Q: Can I see all of the Medals? Q: Will Alpha testers also get the Beta Tester Medal? Q: Are the Emblems historical? Q: Can the Emblems be applied to a vehicle of any nation? Q: Can the Emblems be sold? Q: Can I see all of the Emblems? Q: What is a nickname background? It is a visual accentuation of the nickname in the displayed team list while the battle is loading, in the battle results, and in the window displayed upon pressing "Tab". For Alpha testers, it is a violet background with the letter "A". For Beta testers, it is a violet background with the letter "B". Q: Can this background be disabled? If it can, where do I disable it? Yes, the background can be disabled. To do so, click your username in the top-left corner of your Garage. Then, in the displayed menu, click the square field to the left of your nickname. In the new window, you will see the checkbox to enable/disable the background under your username. Q: Will similar backgrounds be added for other players as rewards for other merits? As of now, only Alpha and Beta tests will have such backgrounds. It is possible that more backgrounds will become available for all players in the future, but we currently do not have any specific plans for this system. Q: What are the rewards for "A Well-Deserved Reward"? How do I buy Premium Account time?